HP carries a complete printer & scanner, product line which is plug-n-play. This means that the device drivers are automatically installed when you connect a HP peripheral to your computer. But occasionally the driver installation does not work because of issues with device drivers or operating system setting or some other software or hardware problem. Also printer drivers that have been installed successfully, sometimes stop working because of device driver corruption or Windows Update overwriting the old device driver. Our experts can help sort out all driver installation issues. Device drivers are software that allows applications such as Microsoft Word or Excel to print or scan documents using HP printers. This software on occasion can malfunction or get corrupted. When this happens you will be unable to use your HP printer or some other peripheral. You can always visit the HP official website for driver downloads and install one, but that can be sometimes tricky and time confusing, particularly for all-in-one or networked printers. 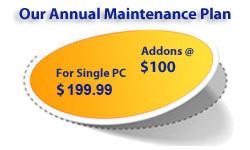 We can fix most software problems you face with your printer device drivers. We will make sure your device drivers are up-to-date, the printer spooler is operational, and check and fix other underlying components. Printers are closed hardware devices and as such are not vulnerable to performance degradation. Hence if it is taking longer for you to print, scan, or fax a document it may point to some other problem. Perhaps the device driver you have installed or Windows has automatically updated is malfunctioning.. Or there could be other more serious problem. You need a qualified company like GuruAid to find the root cause and optimize your HP printer and computer performance.